As a rule, during the period of pregnancy women gain weight. Naturally, a usual desire of most women in post-pregnancy period is to get back to former shape. Diet is a great solution to achieve this goal, but some women also think about using weight loss shakes to promote reducing weight. Diet shakes are a good solution for people who need to get rid of excessive weight. These supplements are fitted with protein, calcium, iron, and other essential components for healthy nutrition. The weight loss shakes are designed to help losing weight by replacing a full meal, supplying protein to muscles, suppressing appetite and providing other benefits for body. These products can deliver a great efficiency if taken within a program of exercises or diet program. However, all these claims refer to regular users not related to pregnancy. Since most of women after delivery decide to breastfeed their babies, a question of safety of using protein shakes in post-pregnancy period arises. So, let’s find out whether it is safe or not for nursing moms to consume weight loss shakes. During breastfeeding, a process of breast milk production requires a lot of energy. An approximate value of extra calories per day is 500. Energy is not the only thing required for breastfeeding, while this process needs fluids and nutrients including iodine (supports growth of infant’s brain), zinc (essential ingredient for immune function, reproductive health, and skin health), iron (important ingredient to transport oxygen in the body) etc. Water is also an important element during the process of milk production. Based on the above, you must understand that diet in post-pregnancy period is not a good decision. Your body requires different vitamins and minerals to replenish the reserves of nutrients that were exhausted during pregnancy. Besides, such elements as zinc, iodine, protein, calcium etc. are in high demand to your body for breastfeeding. For this reason, weight loss shakes may act as an essential source of certain nutrients. 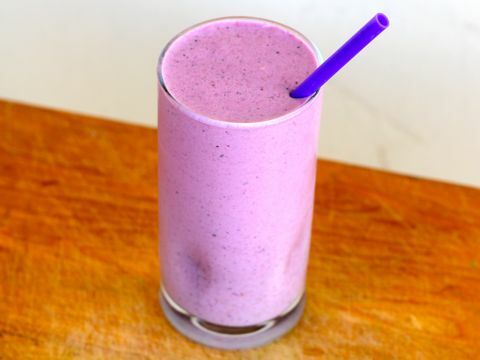 As a rule, protein shakes contain various ingredients that will be useful for a mom’s body. Nevertheless, it should be noted that different brands of proteins provide different effects. So, if most of regular users can opt for diet shakes with high content of protein and fiber, the nursing women should be more careful in choosing an appropriate weight loss shake. The major requirement to protein shakes is natural content. The infant’s body is sensitive to any unnatural elements, therefore, it is crucial to consume only organic ingredients that won’t be harmful for a baby. Another important factor is the content of minerals. The use of diet supplements should be helpful and efficient for organism of a nursing woman and her baby. Hence, a shake should not be overfilled with calories and proteins, but contain a well-balanced amount of required ingredients. Naturally, the consumption of weight loss shakes should be accompanied by exercising even for breastfeeding moms. Such combination of training and diet supplement will provide numerous benefits to your body and body of your baby.